This imprinted and colored concrete patio frames the flower beds and provides a nice entrance to the home. Timeless paving completes many projects for commercial and government locations, such as this imprinted concrete alongside a roadway. Timeless Paving uses a textured and imprinted concrete system from PICS to transform residential driveways throughout the UK. A few years back while studying abroad in the United Kingdom. I remember seeing a public square undergo a remodel. Guess what paving material was used. You got it-decorative concrete. This piqued my interest in the British decorative concrete industry. Come to find out, stamped concrete, or pattern imprinted concrete (as the Brits call it), is quite popular. After doing some research online, I discovered Timeless Paving, a UK company that specializes in installing pattern imprinted concrete for driveways, patios and commercial locations across England, Scotland and Wales. They also imprint vertical surfaces, with a system called Wall Crete. Timeless Paving has twenty years of experience, making them one of the leading installers in the British decorative concrete industry. Their highly trained crews complete more than 600 pattern imprinted concrete projects annually across the UK. Timeless Paving has done work for high profile clients, including projects on major movie sets. They imprinted concrete with a cobble stone pattern to form Fleet Street in Tim Burton's movie Sweeney Todd: The Demon Barber of Fleet Street. Additionally, Timeless Paving created the dance floor in the Greek taverna in the movie Mamma Mia. Another noteworthy job completed by Timeless Paving was for the Cadbury World theme park in Birmingham. Cadbury World is a theme park dedicated completely to chocolate (sounds good to me). Pattern imprinted concrete was installed throughout the park, providing visitors with a clear path to follow as they journey through the world of Cadbury chocolate. 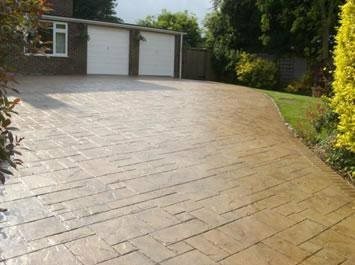 Timeless Paving uses products from PICS (Pattern Imprinted Concrete Supplies), a Berkshire based company with a reputation for supplying superior architectural paving systems. 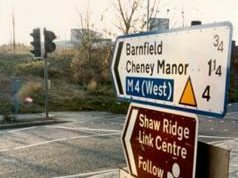 PICS designs, manufactures and distributes their products and services throughout the UK, and to over 16 countries worldwide. They offer a large product range including a textured and imprinted concrete system, a colour hardened concrete topping, and a concrete colour stain. The success of Timeless Paving, evidenced by their quality work and high profile clients, clearly answered my question about decorative concrete in the United Kingdom. 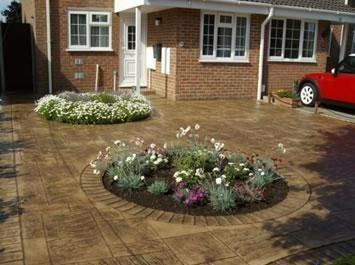 Decorative concrete, especially pattern imprinted concrete, is in high demand for both residential and commercial applications across the UK.